Leading refrigerated transport operator Derry Refrigerated Transport has acquired Waterford-based Brennan Refrigerated Transport as part of a £9 million investment that includes the opening of a new state-of-the-art facility that will span over 10 acres and is the first of its kind for refrigerated transport in Ireland. 50 new jobs will be created within the first three months of the hub’s opening. The company currently employs 200 people at its Portadown site. 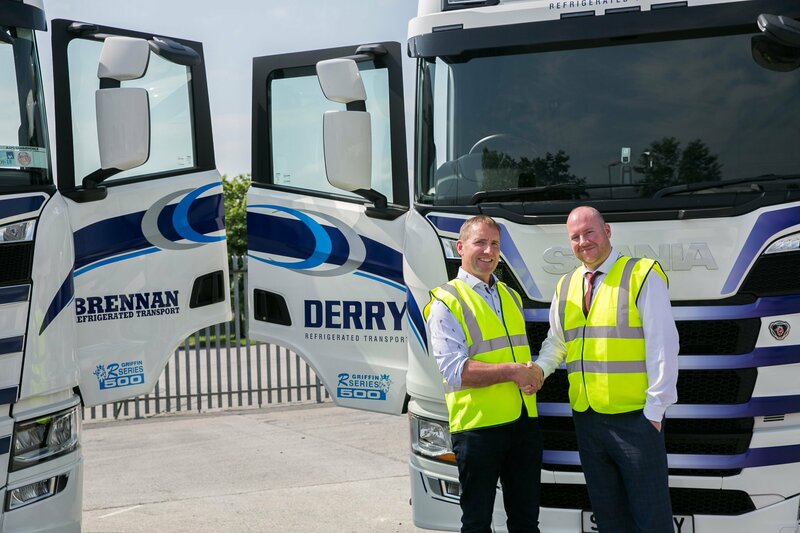 The acquisition of Brennan Refrigerated Transport will also add a further five trucks to Derry Refrigerated Transport’s sixty strong fleet. Derry Refrigerated Transport started business nearly twenty years ago with one truck, and Patrick Derry, Managing Director said the investment will allow the company to build on the platform it has established and to provide wider and more tailored services to its clients.